We offer our patterns, Children's Corner Patterns, wholesale to legitimate businesses with a valid business license and tax id. We do not wholesale any other pattern designers, smocking plates, fabric, notions, etc. Business must have a brick and mortar store and/or ecommerce store with their OWN DOMAIN NAME reselling the patterns to the public. We do not sell wholesale to buyers with third-party marketplace sites such as Etsy, eBay or Amazon. Wholesale status is granted at the discretion of the Children's Corner. IMPORTANT! We DO NOT sell wholesale to anyone making garments for resale from our patterns. Currently, we do not license any of our designs for manufacturing on any scale. Our patterns are intended for use by home-sewers only. If you are a current wholesale customer with a login username and password, you can login here to place your order. If you do not have a user name and password, contact us to create an online account. Or if you prefer, you are welcome to call or email your order using the PDF order form. Unfortunately, we no longer accept faxes. Click here for PDF of our order form. To get started, click here to apply to be a wholesale customer. Include your legal business name, store name, address, website address, and tell us breifly about your store. Most orders will be paid at time of purchase with a credit card or by PayPal. For retailers who prefer to pay by check, we offer net 30 terms after you place your first order via credit card (or pre-paid). Payment is due within 30 days of the invoice date when items are shipped. For accounts more than 30 days past due, you will be required to pre-pay until your account is current. Please contact us to request these terms. We reserve the right to terminate these terms at any time. Opening orders need to be at least $100 and re-orders need to be at least 6 assorted items. We ship most wholesale orders via USPS Priority Mail or UPS, and international orders are shipped via USPS First Class or Priority Mail, depending on the size of the order. The carrier and service are chosen based on cost and destination. Orders are processed daily and typically shipped within three business days. If you would like to use your own UPS account, contact us with your account number. Back orders will be shipped free of charge in the US. Orders from areas not serviced by UPS must be prepaid. The Children's Corner Trunk Show is available for retail stores or smocking and sewing guilds. We will send 12 to 15 beautiful garments for you to display for one week. The cost of the trunk show is $15 to cover our shipping and insurance to you. You are responsible for the return postage and insurance. Please email or call us at 1-800-543-6915 if you would like to schedule a date for a trunk show. For sewing and quilt stores, we recommend printing these out and putting them in sheet protectors in a three-ring binder. 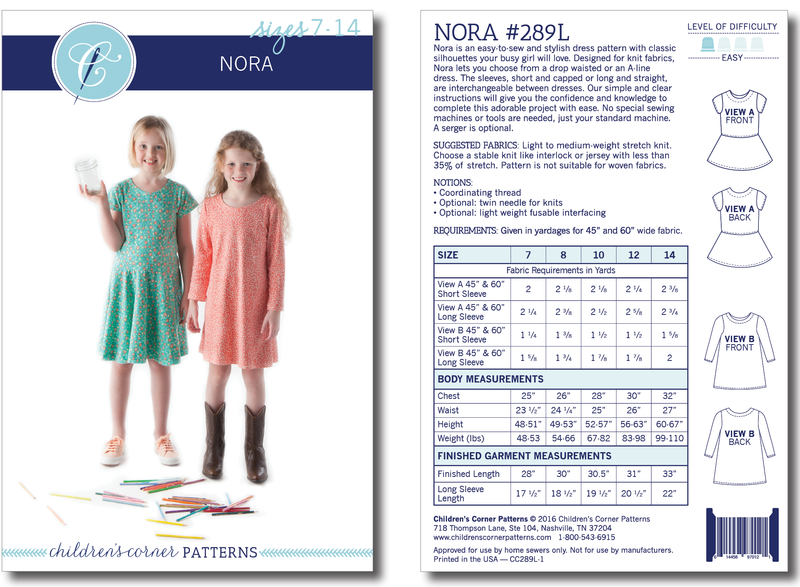 Each pattern is shown with a description, available sizes, fabric and notions requirements, and a difficulty rating. Make sure to check with us for most updated pattern availability information. If you would prefer for us to print these pages for you, we would be glad to do so for $20 to cover the cost of printing and shipping. Click here for downloadable PDF file of catalog pages. Last Updated 4/27/2018. New Season, New Website, New Look! Although our 'look' has changed, we continue the tradition of producing sewing patterns and garments inspired by classic, timeless styles. New patterns, at all levels of expertise, will be added to our collection balancing heirloom inspiration and modern trends. 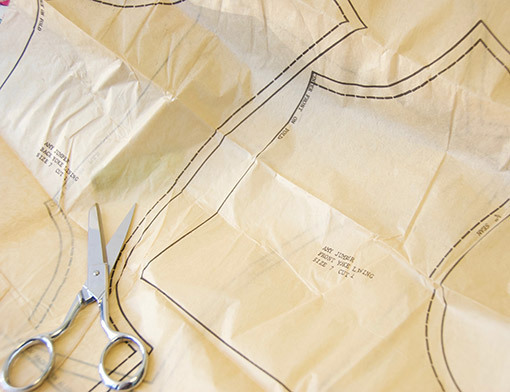 Our commitment to your sewing journey remains everlasting.